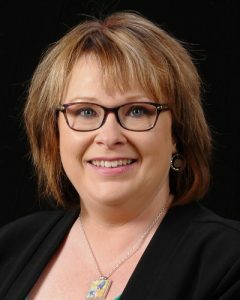 Dr. Michelle Lowry-Heather BSPharm, PharmD, BCGP is a Clinical Consultant Pharmacist for 15 years in Long Term Care and Adjunct Clinical Professor of Pharmacy at Walsh University. She received her undergraduate degree from the University of Toledo and Doctorate from the University of Colorado, Denver. Her practice expertise includes drug information, healthcare consulting, medication therapy management, medication reconciliation, and geriatrics. Her focus has been cost-effective medication management and geriatric drug therapy optimization through patient education, monitoring, and effective communication with physicians and other healthcare providers. In addition to her primary focuses, she has served on Human Rights Committees for 2 separate ICF providers, implemented and coordinated pharmacy patient counseling services for cardiac rehab, inpatient warfarin dosing, and heart failure and served 2 years as a Board member for the Ohio Chapter of American Society of Consulting Pharmacists.